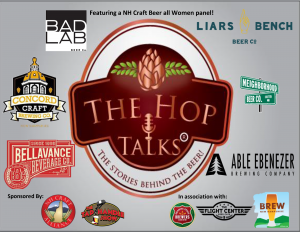 The Hop Talks: NH Craft Beer Week! What do you get for the price of the Ticket? Appetizer style food will be served. An amazing afternoon with 6 NH craft breweries where you get to hear the Stories behind the beer! Closing with a power panel of Women in NH Craft Beer! Gratuity not included. Please remember to tip your server. Are you tired of standing in a line 200 deep for a 4oz sample of beer? What about walking around and getting lost in a crowd of 1500 people? What if I told you you could be 1 of 200 people where you are sitting at a table and having the beer samples served to you, what would you say? What if you could hear the true story behind the beer from the Brewer or Owner of the brewery, what would you think? This is not your normal craft beer event! We want to provide an event for the beer connoisseur in all of us that want to take their drinking experience to the next level. It's an intimate, sophisticated, intellectual craft beer tasting, where the beer is paired with their actual brewers and the stories behind the beer. You will be seated at a table in a dim lit room being served samples of beer and fantastic finger foods. Six breweries will be sampling 2 of their finest creations and providing a 20 minute intimate presentation of who they are, where they came from, why they brew the beer they brew and many more details into what has made them and what goes into making their beer! Prior to the presentations there will be 30 minute - 1hour Q and A session where the brewers will answer your questions and have a booth set up to sell some amazing SWAG! Joe Bellevance from Bellevance Beverage will give us the low down on NH Craft beer, the history and the future! 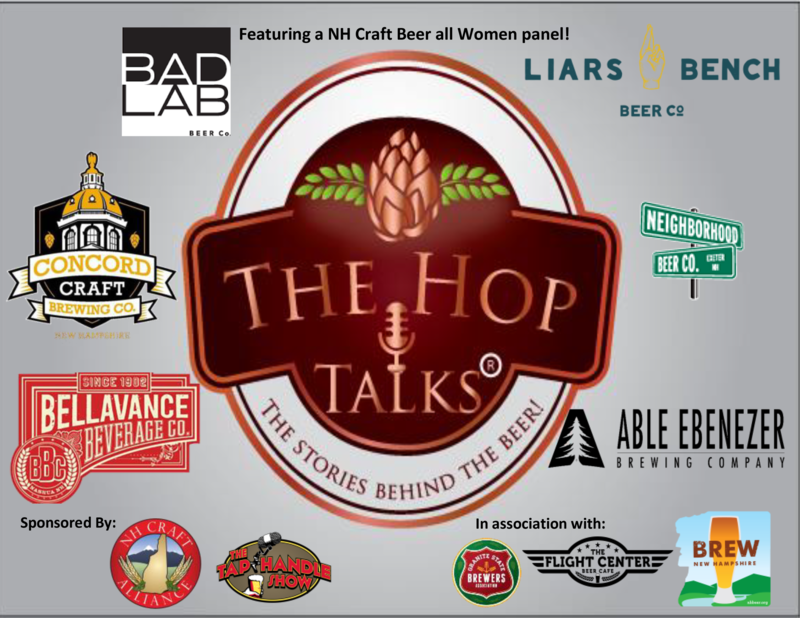 We will close out the event with a power panel of women in NH Craft Beer! Must be 21 to attend. ID's will be checked at the door. There will be 12-6oz samples of Amazing NH Craft Beer served! Earlybird ticket pricing is open until March 20th. After that the ticket price rises. Get your tickets early! If a refund is requested, you will be credited with tickets to the next scheduled event.